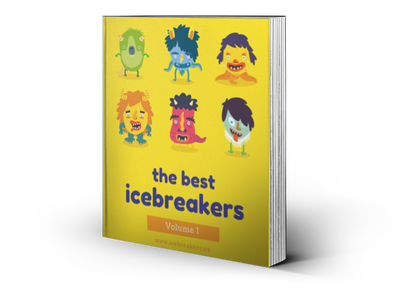 Assa Party Game - Icebreakers, Icebreaker Ideas, Games, Activities! Assa (or Asa) is a Korean rhythm game that follows a pattern of saying “Assa [insert name]” and going back and forth between people, calling their sign/name. There are many similar rhythm games that follow this kind of pattern as well. Everyone needs to prepare a two-syllable name (or something that can be said within two beats) and associated hand motion. For example, a person’s call name could be “Su-per-man” or “Fly-ing Dra-gon” or just about anything, and their hand motion can be something that depicts their name (e.g. raising the right arm up like a flying superhero for Superman). Each person needs a unique name and hand motion. Before beginning the game, have everyone demonstrate their name and hand motion for the other players to learn. Like many rhythm games, the game follows a 4-beat count (1, 2, 3, 4, 1, 2, 3, 4, etc.). On the 1 beat, everyone pats their legs, on the 2 beat, everyone claps their hands, on the 3 beat, everyone does a thumbs up with their left hand, and on the 4 beat, everyone does a thumbs up with their right hand. The speed of the count can gradually get faster during the game. One person (usually the loser of the previous round) begins the new round by setting the tempo (speed) of the 4-beat count. Players must first say and do their name and motion, and then “pass” the motion to another player by saying their name and doing their hand motion. This must be done correctly with perfect rhythm. This process continues until someone makes a mistake. Cathy must first do her sign (says “I-love-pizza” while doing her eating motion) and she he can pass the motion to any other player. This process keeps going until someone makes a mistake (wrong hand motion, missed timing, etc.). The person who began the round can also increase speed if he or she likes. When a person makes a mistake, the round ends and that person begins the next round.